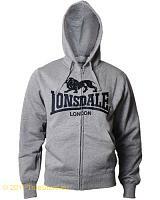 Lonsdale Ash Vale is a classic army field jacket model wit a prewashed and 100% cotton canvas shell. 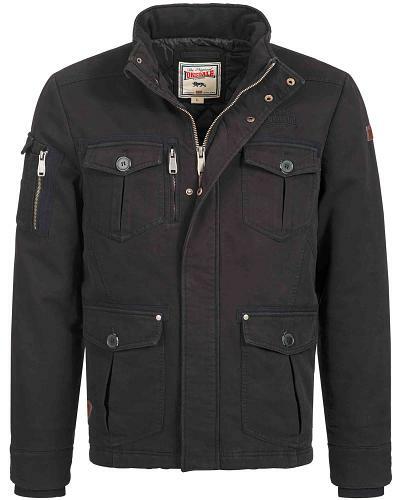 This is a padded jacket that will get you through autumn and winter. Ash vale comes with a hidden hood in the collar, rib sleeve cuffs as windstoppers, a zipper cover with press button also to stop the wind from getting through the zipper. 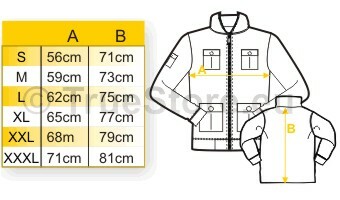 Moreover, it is equiped with lots of pockets, all are either with button or zipper closure. It has an army style sleeve pocket, the lower front pockets are intelligent made dual pockets, so you can use them as flep pockets but your can also slip your hands in from the side to keep them warm. 2 inner pockets with press button closure. Ash Vale is lined with a smooth and nice quilted satin lining for more comfort. 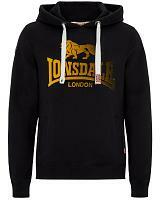 Branded with a dull embroidered Lonsdale chest logo as well as with stylish logo embossed badges at the front pocket and on the right sleeve. This is a very stylish and practical jacket.